I am a generally gregarious and somewhat garrulous individual, with touches of quirky geekness. I like to be helpful when I can and do not withhold information that is important for the success of others. On occasion I can be funny , I do like a good laugh (though not at the expense of another unless we both know its ok). So, I will be helpful and informative to the younger members of your group and will endeavor to be a productive part of PVP PVE , crafting ( I have a maxed crafter) and if all goes well a fun person to have around at times. 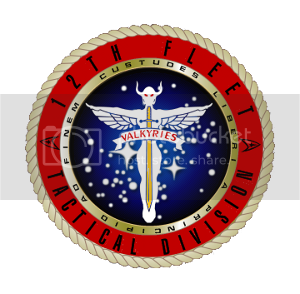 Would you be interested in writing or doing art for the the 12th Fleet Magazine? Y / N - I might possibly do some writing..I have in the past for most other guilds I have been in. Last edited by Groushrr on Fri October 21st, 2011 11:46 am, edited 1 time in total. Welcome to the forums! Good luck on your application! Welcome to our forums, I'll upgrade your account so that you can visit our RP forums already, considering you put that as your first choice. Please change the division choices btw, we need to have at least a number 1 choice. (1 means you're most interested in that division, 6 means you're least interested.) Considering your interest in PvP I'd put that in either Tactical (space PvP) or Maco (ground PvP). Currently you put the PvP divisions as least interest while expressing you have the most interest in those. We can't process your application unless you change this. Well, guess I'll remove you from the RP community then. Good luck with your application though! Andurath...welcome to the forums and good luck on your app! "To dream of the person you would like to be is to waste the person you are. -Admiral Jonathan Archer"
Your character "James Decker" is currently a member of "Rangers of Mars" you omitted that from your application. Can you tell me a little about that fleet and whether you plan on remaining in it? Hi Yes, Sorry omission was unintentional. James has been a member of that fleet I had a great conversation with a Ranger about her Dreadnought and she invited me. I think they are an active fleet but due to my time etc I have not had the opportunity to have a single outing with them to date so I am considering leaving them since I am usually one of the one or two on. I also have a commander Jorn Darkan in Woflpack which invited me and was an interesting fleet I might like to keep him there they seem pretty organized and have some players in my time-zone. Groushrr was also in another fleet which I frankly forget the name of. I left and the leader got a little miffed at my leaving accusing me of taking 9 items out of his bank .. which I did but thought it was within their policy. It has been my habit in games to stay with a guild or fleet once I join as long as the activity isn't non-existant and I am usually one of the more active members by your standards. I am still in a Guild in Lotro on Windfola - Shadowalkers to which I am a life=time member if you wanted a real reference that would be it..but you might not have the ability to check there. I am a non eploitative type who is generally a positive contributor. This is my entire history in STO and a little bit more as I remember it. I hope it is enough for you to go on. Ohh I saw in your post the name of that Fleet was 52nd vanguard. Yeah I have no beef with that guild but the leader may with me based on what I told you. BTW is this going to be a serious problem? You do realize that I did not solicit invitation from any of these fleets? This is the first fleet I have submitted an application to. Last edited by Groushrr on Fri October 21st, 2011 5:21 pm, edited 3 times in total.